St Helens Through The Lens project explores the George Street Photography Collection, over 3000 digitised glass plate negatives that were discovered in a former studio. Here the project lead / archivist for the project shares her daily activities. A day working on the St Helens Through The Lens project is varied and interesting, and I hope the below gives you an idea! Every Thursday, our team of dedicated volunteers come to Central Library to use the computers to sort through and describe each of the 3000 images in the collection. This volunteer assistance is invaluable as it means that the collection will be fully catalogued with richer and more detailed descriptions than would otherwise be possible. I put some time into sorting and reordering images in advance, so that it is straightforward for the volunteers to work through. As well as describing, the volunteers will also be conducting research into the images, and carrying out some preservation activities on the glass plate negatives, including rehousing them in archival standard enclosures and storage boxes, suitable for long term preservation. Eventually the collection descriptions will be fully catalogued and uploaded along with the majority of the images onto our CALM cataloguing software, fully searchable on the St Helens Local History & Archive online catalogue. Occassionally I have been able to dedicate time to researching the collection. One of the most useful and unusual resources has so far been Cullet magazine, the in-house magazine of Pilkington Bros that can be accessed in the Local History & Archives room. From Cullet I have been able to identify various places, people, dates and events contained in the images, such as information found about various clubs and societies, including the Pilkington Players. While I am carrying out my daily activities, sorting the images, cataloguing or researching, I keep an eye out for any interesting images or stories. As the project lead I am responsible for publishing articles on this blog and updating information about the project on social media, such as the libraries Twitter, Facebook and Instagram pages. My desk is based in the Local History & Archives room and being in a public area has been beneficial for meeting and interacting with a lot of visitors. People regularly come in to view our display of images or directly pass on information about the people or places that are featured in them. Recently a lady visited who spotted a studio portrait of herself and her brother as children and yesterday a gentleman visited who worked at Triplex in the late 1960s. He identified that the following image is of a ‘multi-stage die bender’, a piece of equipment used to hold glass within a furnace in order to make car windshields. This is something that could have been very difficult to identify without information from the public! It has been great to have such fantastic encounters that are providing more information and substance to the collection, really benefitting the project as a whole. 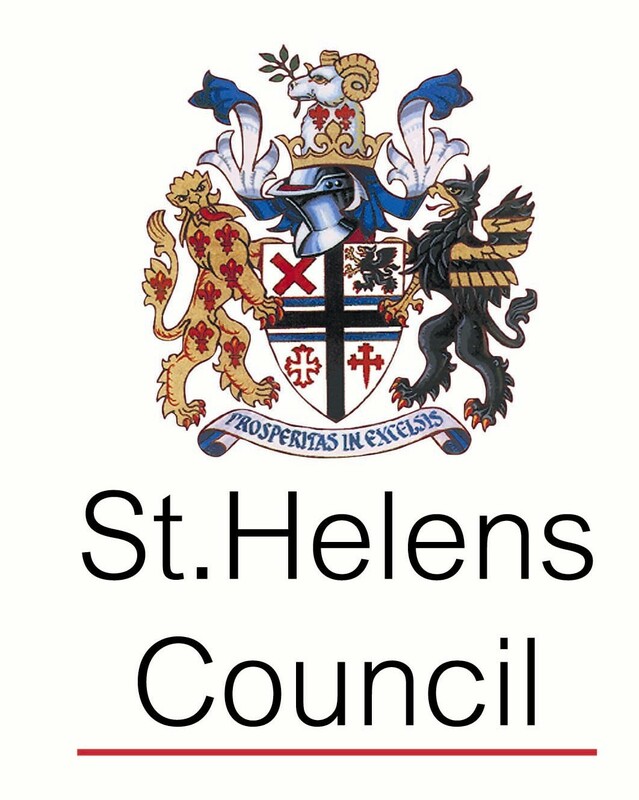 Another important area of my role is to organise various outreach activities and events alongside St Helens Arts Service. This weekend we have two days of events as part of Explore Your Archive, including archive craft activities led by project artist Debbie Adele Cooper as well as glass plate negative preservation displays and information from me. Other events and activities coming up include a range of reminiscence sessions, workshops, talks, performances, school visits and our end of project art exhibition. I look forward sharing more of the fantastic images & stories with you in the coming months. In the meantime, you are welcome to visit Central Library anytime to find out more, or come along to one of our free events! I am most impressed with this presentation and your interaction with various age groups in the population. I think all of our libraries should have something similar. Perhaps the national increase in several types of dementia could be helped in the early onset of the diseases with reminiscence therapy. Well done Victoria and all the volunteers. Thank you Jean, yes the inter-generational aspect of the project has been very rewarding!